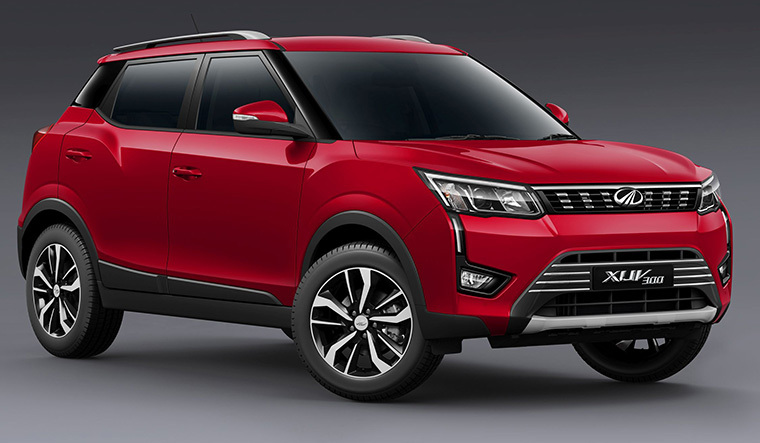 Mahindra's new kid on the block, the sub-four-metre XUV300, is a direct competitor to the Ford EcoSport, the Maruti Suzuki Brezza, the Tata Nexon and even the Hyundai Creta. It is based on SsangYong’s X100 platform (renowned for the Tivoli that sold more than two and a half million units globally) and offers excellent refinement and safety features.  It is a good-looking SUV—there are projector headlamps, LED daytime running lamps and diamond-cut alloys. And it packs in some segment-first features—front parking sensors, seven airbags, disc brakes on all the wheels instead of the usual disc-drum combo, not to mention heated ORVMs. There is also a tyre position display, which means when you are seated inside the car, you know exactly which direction your tyres are facing. It is a real boon in crowded cities such as Mumbai where every inch of the road matters. ABS and EBD are standard on all models. There is also hill start assist. The seven-inch touchscreen comes with GPS navigation as well as Apple CarPlay and Android Auto. You also get to choose the colour on the instrument cluster display. Some of these colours, however, are a bit too loud and may be distracting while driving at night. 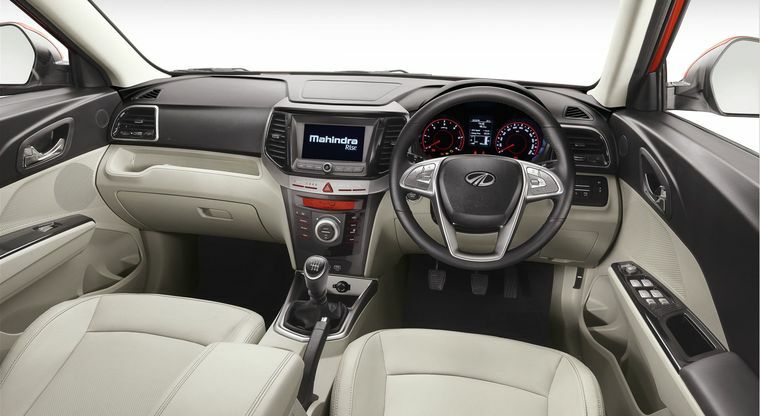 The sunroof, cruise control, steering mounted-audio and telephone controls and the Blue Sense app that gives smartwatch connectivity make a very strong case for the Mahindra XUV300. Available in petrol and diesel, the XUV300 comes in three variants (W4, W6 and W8). The 1.5-litre turbo diesel engine offers 115 bhp and 300 Nm of torque, whereas the 1.2-litre turbo petrol engine offers 110 bhp and 200 Nm of torque. Both engines are mated to six-speed gearboxes. The XUV300 does not disappoint when it comes to ride and handling. What you get is a punchy performance with the slightest tap of the throttle and it offers a very pliant ride. The steering is precise and comes with three different driving modes. Based on the driving mode, the steering weighs up as you increase the speed. The brakes have sufficient bite, too. This compact SUV comes with the longest wheelbase in the segment (2600mm), claims Mahindra, and the fact that the transmission tunnel does not protrude in the rear gives it the flat-floor advantage, ensuring that the middle passenger in the rear seat is also comfortable. The XUV300 starts at Rs7.90 lakh (petrol) and Rs8.49 lakh (diesel).